Trinity United Methodist Church Community Dinner, 5-6:45 p.m., chicken casserole, vegetable, salad, rolls, dessert, drink. $8 per person; No charge for children 10 and under. Dine in or carry-out available. Kickboxing classes, Selover Public Library, Chesterville. $7 drop-in fee. First, third, and fourth Wednesdays of the month at 6 p.m., beginning March 20. Brush and Palette Art Association free program, 6 p.m. at the Brush and Palette Art Gallery, 114 Harding Way East (rear) in Galion. The program is a presentation titled “A Painting a Day” by artist Judy Walton of Mansfield . For information, contact Carol at 419-468-2944 or Diane at 419-468-5965. Scratch Programming: Story Telling. Cardington Lincoln Public Library. The Scratch programming language introduces children and adults to the world of computer programming. Design your own virtual world with interactive themes designed to help beginners become comfortable with code; 5:30-6:30 p.m. Free, but you must call the library at 419-864-8181. Thursday Night Bingo at Perry Cook Library. Prizes will be white elephant gifts.The library will supply some prizes, but you can bring along items, too. Limited to adults; 6-7:30 p.m.; 7406 County Road 42, Johnsville. The monthly meeting of the Morrow County Genealogical Society, the Mount Gilead Public Library, 41 East High St. The speaker will be Jason Ireland, talking about his book, “The Devil’s Fork.” It is a historical novel of frontier life along the forks of the Mohican River. Meeting is 2 p.m. and the public is welcome. Reminder: First Families of Morrow County applications are due by April 1. Spaghetti dinner hosted by the Mount Gilead cross country and track teams. Benefits summer camp and seasonal costs. Dinner includes- salad, bread, drink and dessert; Mount Gilead High School cafeteria, 5-8 p.m. Dine-in or carry-out available. First Presbyterian Church, 55 N. Cherry St., will host a Fourth Saturday Breakfast, 7-10 a.m. The menu will be made-to-order omelets, hash browns, and toast. The cost is $6 for adults and $3 for children. This month’s proceeds will go to Snuggle in Hope, a group that makes quilts for every Flying Horse Farms camper. Walk With a Doc. Cherry Street School gym, 145 N. Cherry St. Mount Gilead; noon, with a walk and this month’s Doc topic will be Keeping Your Colon Clean. Everyone is welcome. Edison United Methodist Church Steak Supper, 4:30-6:30 p,m, at 333 S. Boundary Street, Edison. The menu is baked steak, mashed potatoes and gravy, green beans, salads, pie, cake and drinks. Adults $9 and children $4. For information call June Hawk at 419-946-5178 or Rosemary Levings at 419-560-1273. Morrow Soil & Water Conservation District, 10 a.m., meet Ohio Department of Agriculture Director Dorothy Pelanda; 5362 U.S. 42, Suite 202, Mount Gilead. For details call 419-946-7923 or email morrowsw@redbird.net. Informal meeting with a Q&A. Superhero movie binge day, Selover Public Library, Chesterville, 1 p.m. Watch the following movies back to back: Captain America The First Avenger, Wonder Woman and Aquaman. All are rated PG-13. Children 12 & under should be accompanied by a responsible adult or older sibling. No registration necessary. Free snacks and bottled water. A Singspiration service will be conducted by Key Ministries of Morrow County at the First United Methodist Church, Cardington. The 7 p.m. service will be hosted by Pastor Paul Turner. Darlene Wallace pianist/organist will accompany the singing of familiar hymns led by song leader Gertie Arnold. 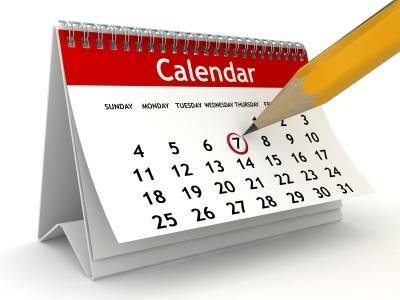 To submit items for the Community Calendar email them to mcsnews@aimmediamidwest.com. Deadline is 4 p.m. Friday to appear in the following week’s edition.